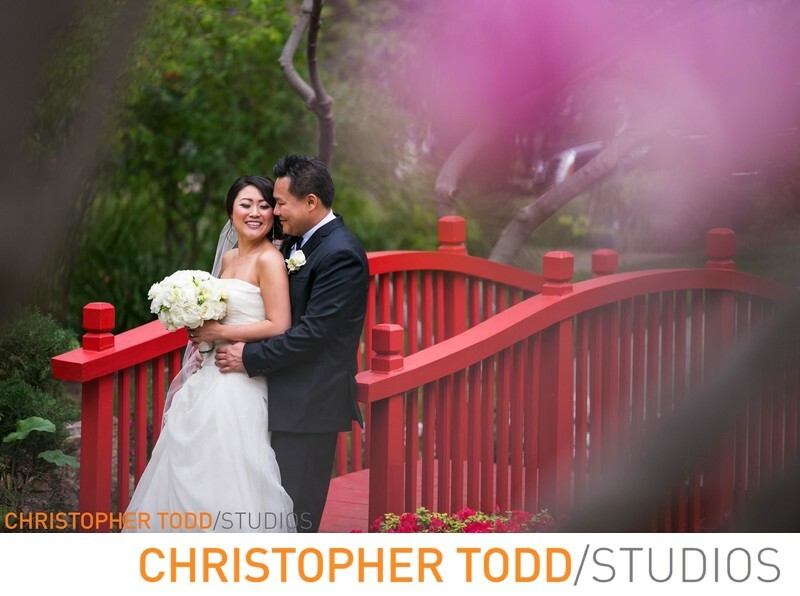 Just after the bride and groom exchanged vows in the garden we walked over to the Japanese Garden and took this beautiful portrait of the couple on the red bridge. The cherry blossom tree was in full bloom in the for graound. 1/640; f/2.8; ISO 400; 200.0 mm.